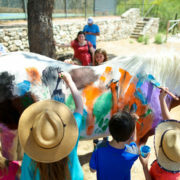 Dude Ranch Vacations: The Perfect Adventure For Your Little Dudes! 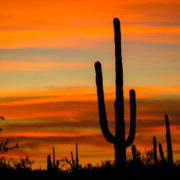 As the school year is winding up and summer just around the corner, ideas for the perfect family vacation are now coming into focus. It isn’t too late and we’ve got the best suggestion to provide your little dudes the fun and adventure vacation of a lifetime! 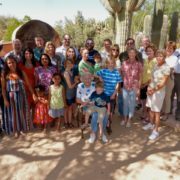 You’ve probably thought that a Dude Ranch vacation might not be a good fit for families with young kids. Think again! 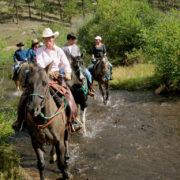 Here are several exceptional ranch experiences from our Spur Alliance family of Dude Ranches that provide not only tons of fun and wonderful adventure, but valuable learning as well. https://www.bestduderanches.com/wp-content/uploads/2018/03/kids071-1400x934.jpg 934 1400 Tracy https://www.bestduderanches.com/wp-content/uploads/2016/03/2016-Logo.png Tracy2018-05-29 12:09:182018-05-29 12:10:14Dude Ranch Vacations: The Perfect Adventure For Your Little Dudes! When you think about the state of Wyoming, wide open space and adventure are really the descriptors that first come to mind. And rightfully so. Expansive, untouched natural beauty, incredibly friendly people and wild, western adventure define the Wyoming experience. Wyoming ranches truly embody the range of adventures, activities and relaxation that is available in the rugged, western state. 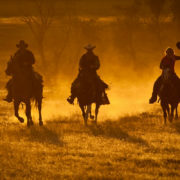 It’s easy to imagine the vacation of a lifetime hoofing in cowboy boots around one of these incredible dude ranches. You really MUST add one of these outstanding Wyoming ranch experiences to your bucket list if it isn’t already! We sincerely believe in the value of family time and offer a wide variety of activities for all ages. 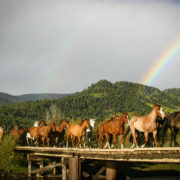 From May 27-June 2nd, Three Bars Guest and Cattle Ranch will be hosting Ryan Courson for an equine photography workshop. 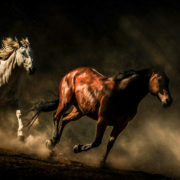 Join us and Photographer Ryan Courson for a week long equine photography workshop. 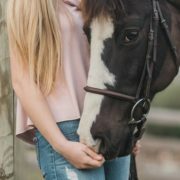 With the Canadian Rockies as your backdrop, and a heard of 80 horses as your subjects, you will have all of the opportunities and assistance that you may need in capturing some incredible equine images. In between customized shoots, you can enjoy all the amenities and activities offered here at Three Bars Ranch.